Seeing an ant almost half an inch long is enough reason to take a step back and allow the seemingly small creature to pass without being harassed. Picture this if you will – You come across millions of ants this size or larger, foraging through the forest. Your first instinct would be to change your route, not caring at the point whether the ants are driver or army ants. In fact, both are considerably large by ant standards and share nasty hunting techniques and ferocious appetites. Ants are very sociable insects, but when they march into our living space, they can cause dangerous problems. 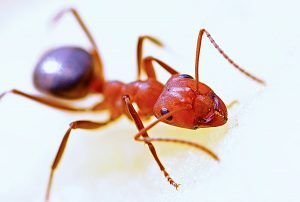 Ants that may be problematic for homeowners include the Argentine ants, carpenter ants, pavement ants and harvester ants. 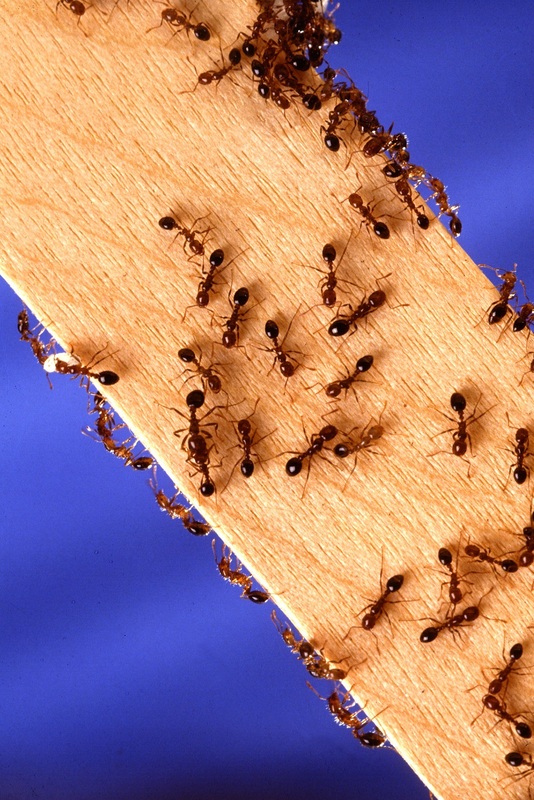 Yes, they can be difficult to control, but with the right preventive measures, you can have a home free from ants. A home inspection is probably one of the most crucial things you will need to do before buying your first property. Most importantly, it could expose concealed issues with the property that are not readily visible to you. You should never, ever overlook the home inspection process if you don’t want to be left with a potential money pit. To locate ant nests, tag along their trails. Ants leave behind a chemical trail along their chosen routes to and from a food source so other ants can easily find the food. By watching where ants go after arriving at their food source, you will easily find a trail to their nest. Once you’ve located the ants’ nest, treat it directly if possible or use non-repellent insecticides around the house and on the trails. If you are targeting carpenter ants, inspection is best done at night since the larger ones are nocturnal [active at night]. They can be spotted foraging outside in the woodpiles or emerging from damaged wood structures. Inspect around mulch, areas with vegetation, under any item that is on the ground, on carpet edges, windows, doors, and walls. Your ant control approach should be dependent on the type of invasion and the type of ant that is responsible, so identifying them is very helpful. These types of ants are mostly attracted to sweet food, and frequently found in the kitchen. If you exterminate them, other ants will simply follow the trail and eventually show up in the same places. For this reason, you must eliminate the entire colony. When you locate the first group of ants, sponge them and the surrounding area with soapy water to eliminate the chemical trail. Figure out their entry point into the house, and place homemade ant bait at the entry points. The bait is usually a mixture of powdered sugar and borax. Powdered sugar will attract the house ants, and borax will kill them. The bait should be placed directly to their suspected entry points to the house. This prevents most of them from traveling all around the house for a sugary treat. The more ants are allowed to find the bait and haul it back, the faster the entire colony will die off. You should always practice good sanitation as this is one of the best ways to make your home less attractive to house ants. Keep garbage, crumbs, and spills cleaned up in the kitchen. Make sure all your sugary food is stored in tightly sealed containers. Spray vinegar in any cracks, countertops and near baseboards where they might be on the move. Allow the vinegar to dry on the surfaces; this helps to eliminate their chemical trail. Carpenter ants live outdoors not far from the house and eventually, march into your house on the hunt for food and water. They don’t carry the bait back to their nests, so it is best if you just kill them at the source. Also, you have to do a little detective work to locate their nests. Carpenter ants live in wooden structures or wood and make tunnels through them. Their nests are found in decks, gaps, between boards, trees, moist wood in the foundations, etc. In a nutshell, taking some time to figure out where the ants’ entry points to your house, you can easily track them back to their nesting location. The best way to exterminate carpenter ants is Diatomaceous Earth (DE), which is naturally made from the remains of algae-like plants. Rubbing a little Vaseline near their entry points to the house may also help seal up holes, cracks under doors or rotting foundation they’re traveling under. To control the threats posed by pests, there are various ways to exclude these modern-day intruders from our local environment. The majority of homeowners use an integrated approach to control pests, which includes the use of pesticides, hygiene, pest control services and the best management practices. Could Flowers in Your Home Attract Pests?